Manchester United are keeping tabs on Italian midfielder Lorenzo Pellegrini, although, would have to beat off competition from rivals Manchester City who have also signalled an interest in the player. Manchester United officials were spotted scouting the player in Roma’s game at the Stadio Olimpico against Verona in September, the Sun reports. Manchester United are currently blessed with plethora of options in midfield but a move for the youngster will give us more options in midfield and whether a move is on the cards for the player in the winter or next summer is left to be seen. Lorenzo progressed through the ranks at Roma’s academy and was sold to Italian side Sassuolo two years ago, but a buy back clause of €10 million was inserted in the deal that could be triggered by Roma in the future. His excellent performance for Serie A side Sassuolo last season made his boyhood club trigger his €10 million buy-back clause this summer. 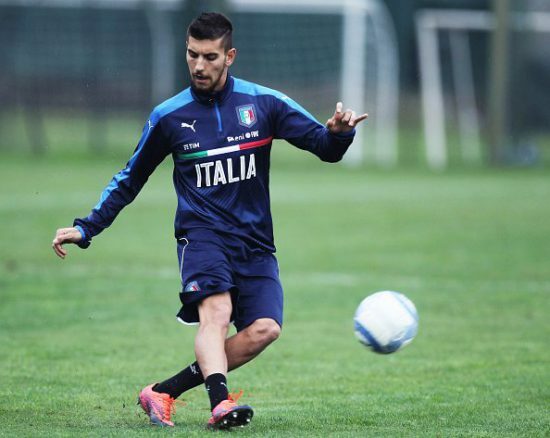 His fine form earned him a call-up to the Azzurri’s and he made his official debut in a 2018 World Cup qualifying match against Liechtenstein in which the Italians secured a comfortable 5-0 victory. The 21-year-old was in sensational form for Sassuolo last term scoring eight goals and providing seven assists in 34 appearances, he was regarded as one of the best young midfielders in the Serie A last season. He is a box-to-box midfielder and also a good passer of the ball and with the World Cup on the horizon he might see his price skyrocket with eye-catching performances.